Walk the scenic grounds dating back to the city's founding. Discover the role of Christianity in Florida at the Mission Museum. 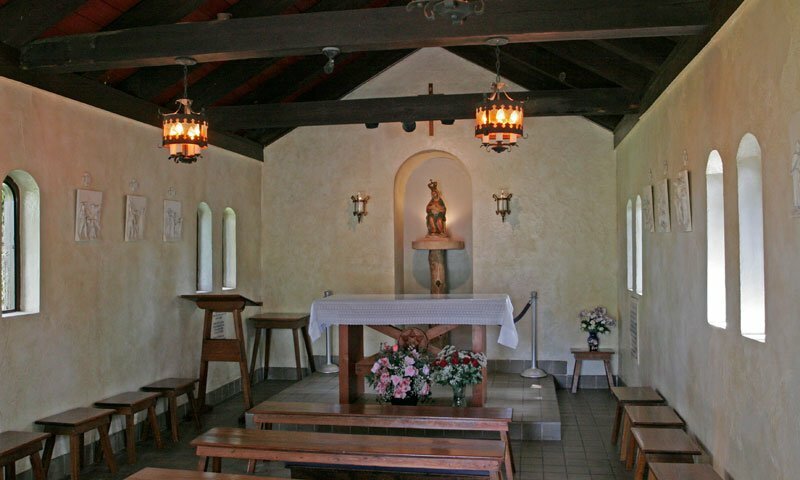 The Shrine of Our Lady of La Leche at Mission Nombre de Dios traces its origins to the founding of the city of St. Augustine in 1565. On September 8, 1565, Pedro Menéndez de Avilés landed and proclaimed this site for Spain and the Church. Menéndez named this site Nombre de Dios, meaning Name of God. 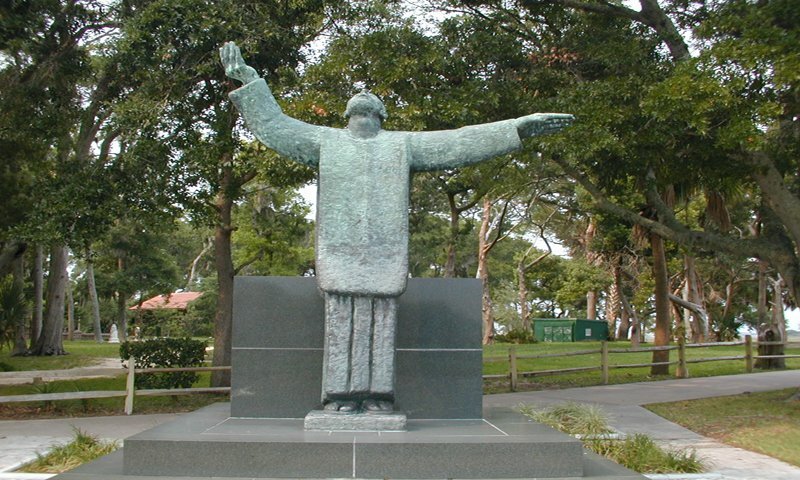 He put Father Lopez in charge of the mission, making him the first parish priest in St. Augustine. It was on these grounds that Father Lopez celebrated the first parish Mass and began the work at America's first Mission. 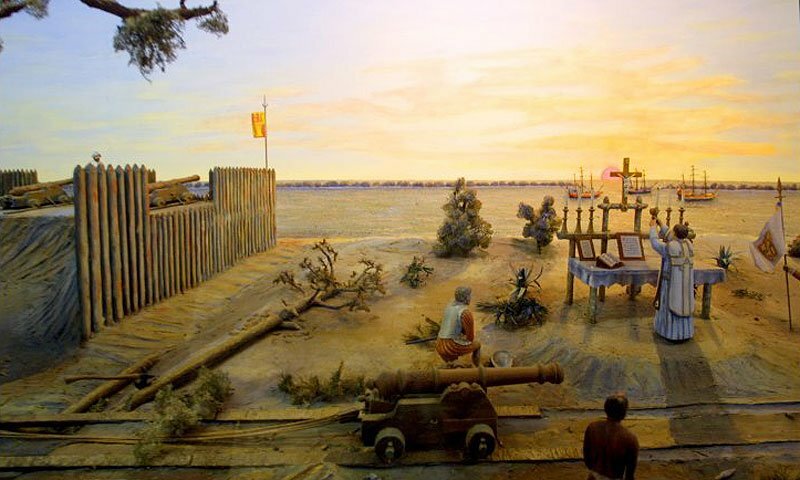 At Mission Nombre de Dios, guests will find numerous artifacts, both sacred and secular, from the very beginning of the Spanish settlement in St. Augustine. A walking tour of Mission Nombre de Dios includes a number of interesting stops: the Prince of Peace Church, the Father Lopez Statue built by Dr. Ivan Mestrovic, the Great Cross, the Mission Plaque, Our Lady of Guadalupe Shrine, the Our Lady of Perpetual Help, Chapel of Our Lady of La Leche, and Our Lady of La Leche Shrine, and the Rustic Altar. Visitors can also tour archaeological excavation sites or go into the Shrine Shop. 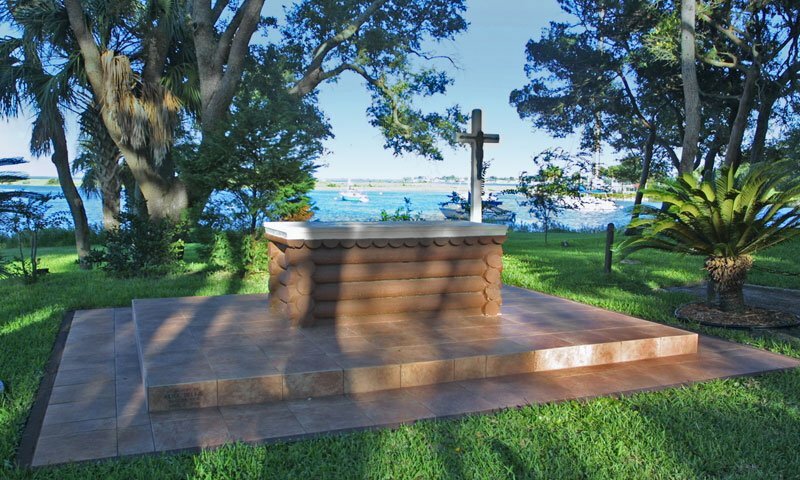 The Shrine of Our Lady of La Leche at Mission Nombre de Dios is located at the Great Cross just north of downtown St. Augustine. Parking is free. The ducks seem to enjoy popped corn. This is without a doubt the most beautiful piece of Catholic history in Florida. 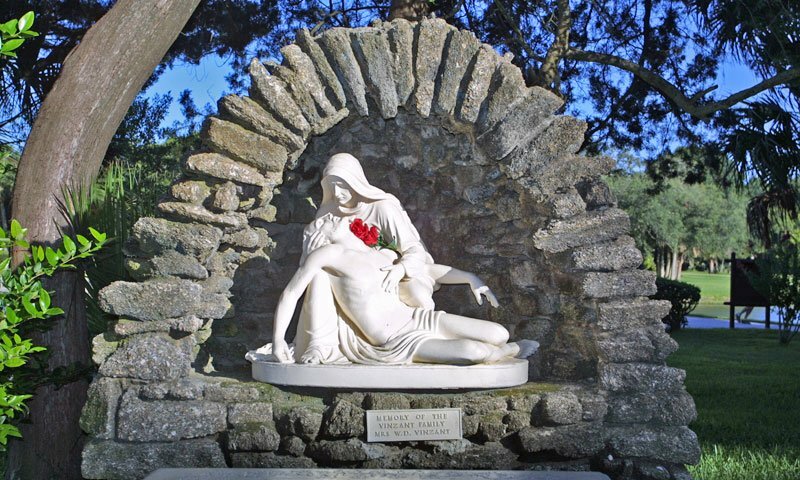 The grounds are an absolutely stunning display of Florida's nature, and with the Great Cross towering above and the vine covered chapel to Our Lady of La Leche, it's easy to see how this is a place you can visit time and time again. The Prince of Peace Church has Adoration in the day so it's beautiful to sit and reflect on the mystery of Christ and historical significance of this site to Christianity in America. Perfect site for a nice stroll. I'm not a religious person, but for me this has got to be the most spiritual spot. I stay at a timeshare every year over Mother's Day weekend. My first year, visiting was the year my mom passed away. Now every year i walk the grounds in memory of her. I thought the gardens and monument were really well kept. The other attraction to this location is the view from the backside of the monument. The inlet to St. Augustine can be viewed from here. We just walked in, though they may take donations. Nice walk over from DQ.